One of the entrances at the Metro Center station soon will close for about eight months as two escalators are replaced. The escalators at the 12th and G Street entrance are about 20 years old and constantly exposed to the elements. The new escalators will be covered by a canopy. About 4,000 people use the 12th and G entrance each weekday, but there are three other entrances to the station. Riders should get used to seeing such projects throughout the system after a new contract was just awarded, Metro spokesman Dan Stessel said. "It's about a $150 million contract over several years for the full replacement with brand new escalators of up to 128 units," Stessel said. 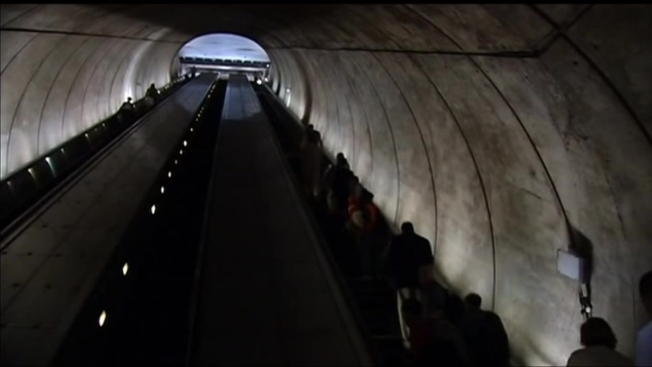 Metro has more escalators than any transit system in North America, more than 600 of them.